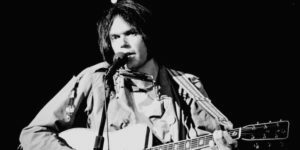 A year after he surprised us with a “lost” album from 1976, Neil Young is unveiling a compilation of live acoustic tracks from the “found” tour that immediately followed. After spending much of the year on the road with the Stills-Young Band, Young dropped out and switched focuses to solo and Crazy Horse work that has pretty much defined his career focus ever since. First there was the night spent recording Hitchhiker, a few tracks of which never saw the light of day until September 2017. Then there was, three months later, the 18-show tour – the best of which has been compiled on this new 22-track release. Titled Songs for Judy, the collection blends some of Young’s most well known tracks (“Heart of Gold”, “The Needle and the Damage Done”, with lesser known favorites and at least one that we guarantee you’ve never heard before. The track list was curated by journalist and filmmaker Cameron Crowe with the help of concert photographer Joel Bernstein, both of whom were embedded with the Young crew during the solo tour. In fact, it was Bernstein who recorded the performances on cassette tape. A vinyl edition of Songs for Judy is set to be released in December. 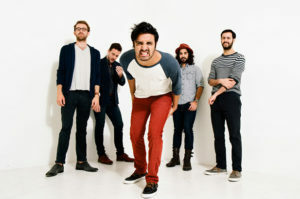 Last week’s biggest Missoula concert news was the announcement by rock quintet Young the Giant that they will hit Missoula near the end of the five-month US tour that kicked off last Thursday in Michigan. We already previewed their latest release, Mirror Master, with the track “Simplify.” Now, in celebration of the news, we’ll dish up a second. The band’s fourth studio release, Mirror Master dropped Oct. 12. For more information on the album’s content and direction – including its departure from their previous focus – check out the band’s recent interview with Billboard. • Here’s a piece of trivia for you: Can you name the one holiday that actually surpasses Halloween in terms of candy sales? We won’t spoil the answer without sending you to a formal analysis and explanation, but we WILL tell you it’s not Valentines Day. That concept seems to be lost on Nathaniel Rateliff & the Night Sweats, who seem to be trying to pull an early February with their newest single release off their sophomore album, Tearing At the Seams. Not only is “A Little Honey” lyrically sweet – it’s a song about love and desire – it’s also tangibly sweet, as in its release corresponds with the simultaneous release of the band’s new craft chocolate of the same name. Rateliff and crew will open for John Prine in their hometown of Denver on Nov. 8. • Speaking of Valentines Day, Jealous of the Birds – moniker for Northern Irish singer/songwiter Naomi Hamilton – will follow up last February’s five-track EP with a new one next February. 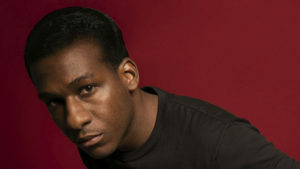 Check out a review of the track and an interview with Hamilton at The 405. • Nashville-based blues quartet Larkin Poe will drop its fourth studio release, Venom & Faith, on Nov. 9. Led by sisters Rebecca and Megan Lovell, Larkin Poe is coming off a whirlwind of festival appearances, opening gigs and a nomination for Best New Artist at the Blues Music Awards. Venom & Faith marks their first full-length release since 2017’s Peach. Check out an interview with the band HERE. • For those of you who witnessed Leon Bridge‘s performance at Big Sky Brewing Company last month, you’re very aware that he’s the closest thing 2018 is gonna get to an authentic soul machine. The man behind some of our favorite New Tracks releases this year – “Beyond” and “Bad Bad News” to name just two – is gonna break through our airwaves again with yet another single off his sophomore album, Good Thing. If we had to place our bets, we’d say Bridges – who was a two-time Grammy Awards nominee for his 2015 debut, Coming Home – will probably be improving to the “winners” category this coming February. The Texas-born singer/songwriter recently sat down with Variety to talk about his experiences recording, touring and his debut on the Silver Screen. Check that out interview HERE. • Finally, we’ll wrap up the day with the latest from Las Vegas-based rock band Muse, who are set to drop their eighth studio release on Nov. 9. We previewed Simulation Theory with its first single, “Something Human”, back in July. Now another one from the synth-rock album that gets its inspiration from science fiction and 1980s pop culture.